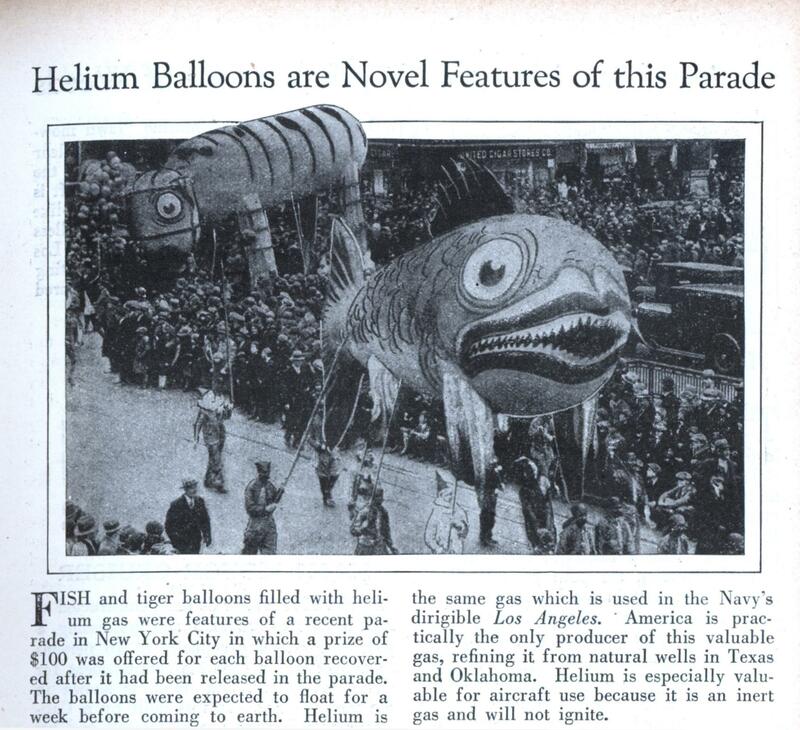 FISH and tiger balloons filled with helium gas were features of a recent parade in New York City in which a prize of $100 was offered for each balloon recovered after it had been released in the parade. The balloons were expected to float for a week before coming to earth. Helium is the same gas which is used in the Navy’s dirigible Los Angeles. America is practically the only producer of this valuable gas, refining it from natural wells in Texas and Oklahoma. 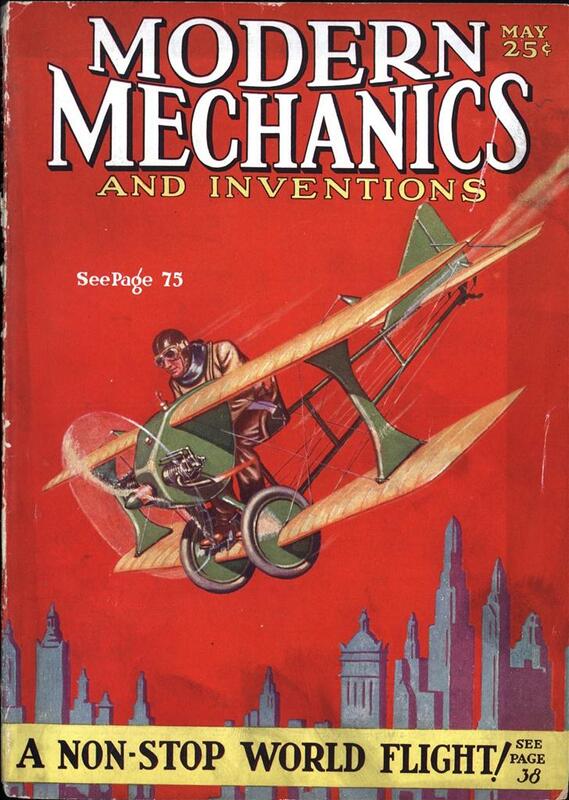 Helium is especially valuable for aircraft use because it is an inert gas and will not ignite.